The appearance of the moon changes each month, which is known as phases of the moon. During the course of the month, the moon passes through eight phases, which are named based on how much of the moon an onlooker may see and whether the amount of the moon that is visible is increasing or decreasing. Tides are affected by the gravitational forces of both the moon and sun, which cause two low tides and two high tides each day. 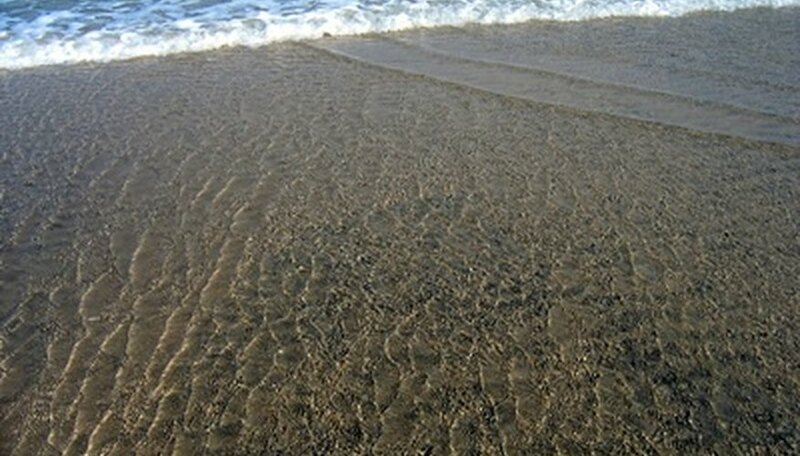 In explaining the phases of the moon and tides to children, teachers should make the young students aware of the effect of gravitational pull on tides. Introduce the phases of the moon to students by drawing out the phases or showing a picture of the phases. Explain that there are eight phases of the moon. The new moon is the first phase and is when the side of the moon that faces the Earth is not hit by sunlight. The moon is normally not visible during the new moon. Phase 2 consists of the waxing crescent and is when less than half of the moon is lit up and the size slowly increases. Phase 3 is also known as the first quarter, in which half the moon is lit by the sun. Phase 4, or the waxing gibbous, is when half the moon is lit and it slowly gets bigger. A full moon is Phase 5, when the side facing the Earth is lit up by the sun entirely. Phase 6 is the waning gibbous, and the part lit is getting smaller. Phase 7 is the last quarter in which half the moon is lit by the sun, and Phase 8 is the waning crescent, and a small part is lit. Present a list of the names of the phases of the moon and pictures of the phases. Have students work in small groups to match the names of the phase to the picture of what the moon would look like. Define gravity. Gravity is a force that works between two bodies of matter to pull them together. Demonstrate the basic principle of gravity. Throw a ball up in the air and watch it fall. Gravity is the force that causes the ball to fall rather than stay up in the air. Demonstrate how the moon alters the tides by using students to help in the presentation. One student should stand in the front of the room with the label "Earth." Have another student stand next to the Earth with the label "moon." A third student should represent the sun and two others should be gravity. Take a rope and have the student representing Earth hold it. The students who represent gravity should tug gently on the rope in the directions toward and away from the moon to demonstrate a spring tide. Students should tug on the strings in the direction of the moon and opposite the moon to demonstrate the neap tide. Ask the students what happens if a fort or sand castle built on the beach were left at night. Ask what they think causes the tides to rise and fall. Explain that the moon and the sun have a gravitational force that pulls the water toward the moon and that the earth is affected by the moon’s gravity, being pulled away from the water. High tides normally occur every 12 hours. Helaine, Andrea. "How to Explain Phases of the Moon & Tides to Children." Sciencing, https://sciencing.com/explain-phases-moon-tides-children-7803645.html. 25 April 2017.